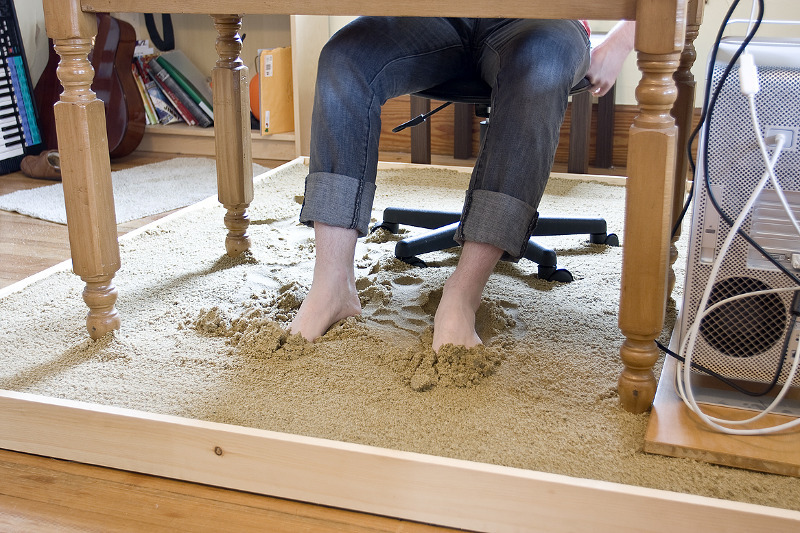 The sandbox desk thing… It’s actually a sort of art installation/project, but that didn’t stop several interior decor bloggers from grabbing the image to support posts about “relaxing decor”, or “ways to make your home look like a million bucks”! Can I just say, I don’t think sand IN my house is a good idea. Ever. It’s sand. It’s gonna get everywhere. Cleaning. Ugh. And I don’t even want to think about a house with cats… just… no. Is it just me, or would this give you nightmares? So, the next time you see a too-crazy-to-be-believed idea on a home decor blog, do a little digging. It might not be intended for real home decor… Hey, decor and design bloggers – Google is your friend! Use it! Who would be insane enough to recommend either of those things?! Indoor sandboxes are for people who pay someone else to clean their house. And that haunted forest reminds me of the beginning of Beauty and the Beast when Belle’s father thinks that the horrific murder forest is probably just a poorly branded short cut and goes for it. That sequence is a distant memory for me, but not for most kids, who would undoubtedly be scared outta their minds with such terrifying shadows dancing across their walls while they try to sleep!